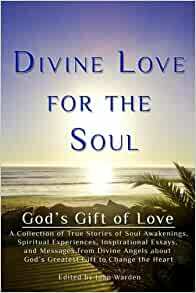 A Collection of True Stories of Soul Awakenings, Getting Closer to God, Spiritual Experiences, Inspirational Essays, and Messages from Divine Angels about Gods Greatest Gift to Change the HeartA soul awakening is the key to receiving Divine Love for the Soul, as the twenty one writers of this book discovered. Not satisfied with traditional religious dogma, many of these truth seekers embarked on a mission to find the missing link to God and, to their amazement, their journey was successful.In part I, true stories of soul awakenings, the writers share the process of their Divine Love path. They enlighten us as to the ease of getting closer to God and having a personal relationship with Him. The stories of out-of-this-world spiritual experiences are both riveting and compelling; and inspirational essays about Divine Love are informative and motivational.A sampling of profound messages from Divine Angels in Part II explain what Divine Love is, how we are able to obtain it in our souls, the benefits of receiving this Love to remove our fears and worries, heal our physical illnesses, give us happiness and peace that passeth all understanding, and why it is very important that we become aware of Divine Love's amazing power to purify our souls while we are still living on this earth. Divine Love for the Soul is an inspiring collection of 40 true stories dealing with spiritual experiences including soul awakenings and getting closer to God. Part II contains profound revelations from beyond. I recommend this book to those who enjoy reading about experiential encounters of the Divine and are interested in a deeper spirituality than is commonly understood. 5つ星のうち5.0Divine Love is like Miracle Grow for the soul. The title says it all. This book explores in some detail, the concept of transcendental love (love for the essence of humanity, and termed as "Divine Love" in this book) in general, and the modality of its' expression in individuals living in the hectic, fast-paced society of today. The primary source of inspiration behind this book are the channeled messages that were revealed through the ex-attorney and medium, James E.Padgett during the period between the years 1914 and 1923 and purported to have come from Jesus and the apostles, prominently St. Luke and St. John. The primary theme of this book is to highlight the difference between Divine Love and the natural love that human beings feel for each other. It focuses on the finite nature of the egoistic love most humans have for their dear ones and the all-consuming nature of Divine Love for the soul, emphasizing the temporary nature of the former and the all-encompassing, life-changing character of the latter. To this effect, several writers document their experiences of the cultivation of Divine Love, the changes wrought in them over time and the fruits of their sadhana (a Sanskrit word for diligent study) as the process of tuning into Divine Love tests their metaphysical skills. The main purpose of this book is to show how Divine Love manifests itself in the life of ordinary human beings, and, in the process, render a new life and a new dimension to the teachings of Jesus as has been reported in the Bible, many of which have gathered dust over centuries because of stagnant interpretations. The book is divided into two parts. The first part contains testimonials by various writers of their experiences of taking the writings of James E. Padgett to heart in the practice of Divine Love. The editor has placed these inputs carefully into four progressive chapters involving successively deeper engagement. The second part contains a long chapter on the history of the source behind these channeled messages. The last chapter contains a chosen sample of the actual messages from Jesus as well as some other apostles, prominently St. Luke and St. John. 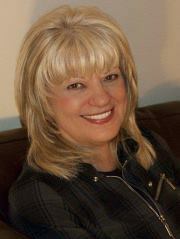 Reading the messages from Jesus brought tears to my eyes, though I am not a Christian. I was reminded of the famous lines by Krishna in the Bhagvad-Gita "Yada yada dharmasya glaneer bhavati....sambhavami yuge yuge", which, translated from the original Sanskrit, means that "whenever I find dharma in danger of being subdued by malafide forces, ....I reincarnate from time to time, to restore the balance of good over evil". This book also makes it clear that Divine Love is a choice that man must make on his/her own, it is a gift bestowed on one who chooses to act from that space, foregoing selfish ego-driven considerations. One of Jesus' messages deals explicitly with this issue and many of the other writers reinforce it with their own experiences. The writings of the contributors to this book appear truly to have originated from the heart. There is a sincerity about them that is palpable and very convincing, though some may find the material, a bit sickly sweet at times. I found this book also to be a very uplifting read, when read and savoured over time. Reading this book in a hurry could give you a mental crick in the neck. I recommend this book highly to all those who are seeking new ways to enrich their spirituality from outside the boundaries of organized religion. It will bring you closer to your own true Self.